April 18-20 – Washington, D.C.
April 18-20 - Washington, D.C. 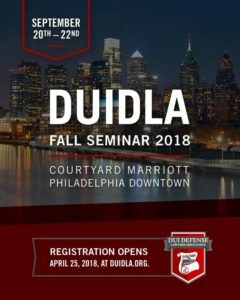 REGISTRATION IS CLOSED FOR DUIDLA 2018 FALL SEMINAR PHILADELPHIA. © 2019 DUIDLA. All rights reserved.